We asked a series of key figures in the sector to explain what they thought would be big news in 2017. Here’s what they said. Pressure on NHS and social care budgets will continue to take its toll on the sector in 2017. We’ll see an unprecedented number of eye clinic appointments with longer and longer waiting times, continued delays for essential surgeries and an inconsistent standard of good rehabilitation support. There are, however, a number of opportunities to capitalise on to improve the way we all work but that can only happen if organisations work collaboratively and innovate practices together. Opportunity number one: With the UK Vision Strategy consultation, the future direction of the organisation is up to us to decide. Working together will be smarter and easier with refreshed priorities that impact on all areas of the sector. Opportunity number two: High street optometrists will have a greater role to play in identifying, treating and monitoring eye conditions. This will undoubtedly help to alleviate capacity issues experienced in hospital eye clinics. Opportunity number three: Patients need better access to eye health and sight loss information. Currently, there are two million people living with sight loss in the UK, but half of this figure could have been prevented. It is all of our duty to work together to make sure the general public understand the importance of having regular eye tests. The work led on by teams at Moorfields and the UCL Institute of Ophthalmology lead me to believe that technology will be key in supporting care and preventing sight loss in the future. At Moorfields, we are working with DeepMind Health to see if artificial intelligence can help eye professionals make faster and more accurate diagnoses of eye conditions, allowing for patients to access treatment earlier. We are also part of The London Project to Cure Blindness which works with patients with wet age-related macular degeneration (AMD), the leading cause of blindness in those aged over 60 in the western world, using stem cell therapy. The first patient has received the therapy and we are eagerly awaiting the results. I am proud to be part of an organisation that continues to push the boundaries of modern research and technology. It is with this spirit of innovation, collaboration and enthusiasm that we will help even more people maintain or regain their sight in 2017 and beyond. The last decade has seen a huge leap forward in the treatment of important sight threatening diseases such as wet age related macular degeneration, diabetic maculopathy and vascular occlusions. The new anti Vascular Endothelial Growth Factor and Steroid drugs that are injected into the eye have revolutionised treatment in these diseases turning certain sight loss into a treatable but not curable disease. These drugs are miraculous but come at a heavy price both financially, to the NHS, as each injection can cost up to £1000 to deliver, but also to the patient and carers who have to be monitored and treated, often monthly. What we will see in the next few years will be new ways of giving longer acting drugs so that the burden on patients is lessened. So, treatment is being revolutionised but the key for 2017 and beyond will be a focus on preventable diseases such as diabetic retinopathy and, interestingly myopia - new research in China has shown that increasing time spent by children outdoors slows down myopia. I believe that the future of eye health lies in a presumption of prevention wherever possible accompanied by the very best in evidence-based treatments. This is a very interesting time for the eye health and sight loss sector. Not only is there the challenge of access to good quality services with the rising demand due to new treatments and diminishing resources, it is also a time of innovation and change. From bionic eyes to the prospect of autonomous vehicles, there is real hope amongst the tide of disappointments we have seen with a lack of investment in medical research and the shortage of trained rehabilitation workers. The major challenges facing the sector in 2017 include the lack of capacity in eye clinics; the need for co-ordination of care across health and social care; access to employment and access to services for vulnerable groups such as people with learning disabilities or dementia. As a sector, we must also work to raise awareness and understanding of eye health and sight loss issues amongst the general public whilst increasing resources going into the prevention and treatment of vision impairment. The biggest challenge to be faced by occupational therapists is the growing number of complex co-morbidities we will face. This is especially true given the ageing population and increase of people with conditions like diabetes and/or dementia. While it is unlikely that an occupational therapist will receive a referral where the primary concern is sight loss, many will have to consider the impact of sight loss on their assessments and interventions. In addition, occupational therapists will need to be on the lookout for undiagnosed sight loss and visual perceptual difficulties. In order for occupational therapists to be able to meet this challenge, they will require their undergraduate education to prepare them for supporting people with sight loss as well as good access to post-registration continued professional development activities and strong partnerships with vision rehabilitation services. Nearly nine million people are treated by hospital eye services annually, representing 10 per cent of all outpatient attendances. Hospital eye services are overwhelmed. New treatments and an ageing population mean that hospital eye services will continue to be under increasing pressure. Care for glaucoma and AMD patients is by and large predictable, enabling capacity planning across the whole pathway. This is going to require greater use of all available skills across the eye health workforce. Optometrists working in community settings can help alleviate the pressure on eye health services by creating a more flexible and ready workforce which can easily be increased in both the short and long-term. Optometrists are well positioned to play a wider role in transforming health delivery with other professionals and take advantage of the new opportunities provided by enhanced community services. 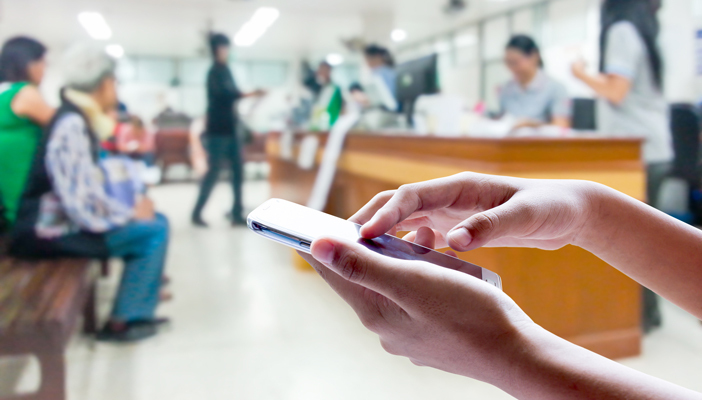 However, for new solutions to be sustainable, optometrists in the community must be connected electronically to the rest of the NHS, to allow swift referral and communication between experts. Improved IT links will also enable the collection and effective use of data for epidemiological analysis, public health, service planning and research and will support patient information and participation. In times of austerity, where the biggest employer cost is their workforce, service providers are becoming enthusiasts for less expensive workers with generic skills; workers who can work with a broader range of clients. This solution seems to imply we didn’t need specialists in the first place and that a genuine depth of knowledge is a luxury. Personally, I find teaching daily living skills to someone who has a brain injury and sight loss tricky enough with my years of experience. The number of specialist workers in the visual impairment field in social care and education is slowly atrophying: Rehabilitation Workers; Habilitation Workers, Qualified Teachers for Visually Impaired Children. I want to see how the UK Vision Strategy will tackle this. It cannot be right that a single Rehabilitation Worker is employed to cover a local authority of 150 to 200,000 people. Managers can talk about re-configuring a service with support workers to meet the growing numbers, but doing so will run the risk of putting these staff in situations they are not safe in. We are hoping that in 2017 there will be a new government apprenticeship scheme in England for Visual Impairment Rehabilitation Work. But with the majority of the Vision Strategy leadership group representing sectors outside social care and education we have to hope they can see beyond their own areas of interest. The increased use of intravitreal injected treatments while potentially solving some problems, will cause more longer-term issues for the sector. There is exponential growth in patients needing regular treatment but a lack of appropriate personnel and resources to run those expanding clinics and provide the care needed. There is still huge variability across the UK in the commissioning of services, both for those with preventable sight loss such as cataract and for support for those with visual disability. Clinical commissioning groups (CCGs) are continuing to limit cataract extraction in a number of different ways and while NICE is due to publish cataract guidance in 2017, if CCGs and others are able to ignore the evidence available to them at present, there seems little to stop them ignoring NICE guidance, as happens in other sectors of healthcare. This will need monitoring by the whole sector on an ongoing basis. The huge cuts to social care budgets will also continue to impact on those with vision loss. The lack of resource over the whole sector will potentially lead to more disability and more long-term care and support needs. And the reduction in specialist nurse numbers will also affect the care of patients within the hospital service. Securing treatment for the increasing numbers of people with potentially blinding eye diseases within a suitable timeframe is the major challenge for all eye health care professionals in 2017 and for the foreseeable future. The demand on hospital eye services to deliver available sight saving treatments to prevent unnecessary vision loss is becoming increasingly difficult. It is recognised that delays occur beyond the clinically safe, recommended time interval by ophthalmologists. Patients are suffering irreversible, preventable loss of vision. People fear sight loss more than loss of any of the other senses. Vision impairment can hamper a person’s ability to reach their full potential. Timely treatment improves both mental and physical health, reduces the risk of falls and helps to maintain independent living. Modern surgical interventions and drug developments continue to save and preserve the sight of many millions, but demand needs to be met with resource. Manpower, including the training of a multidisciplinary workforce, secure and integrated communications, shared models of care creating capacity at a local level and improved technology will provide efficient and effective solutions. Importantly, we need political recognition for ophthalmic care to be a health priority. There still seems to be uncertainty regarding how funding cuts will impact the shape of services going forward. This is particularly worrying at a time when eye health and sight loss sometimes feels like it is losing out as a priority on the wider health and social care agenda. For me, the key priorities for 2017 are around how we can deliver a more joined up approach to services for and with blind and partially sighted people. This includes how we can make more efficient use of the collective resources available to us, and dare to do things differently to make them work better. We need to look at how we can work together across a range of organisations and within our local communities to provide more information about the help available and where to go to get it. It also involves how we provide more practical and emotional support for those living with, or at risk of, sight loss. Change is coming in the sector in 2017 and I am hopeful that that will bring with it opportunities for more unity and integration across service providers at both a national and local level. In 2017, one of the main things ECLOs will face is the growing demand of appointments. There will be more patients than ever before who will need supporting in the eye clinic. To combat the increasing pressure, RNIB has developed a set of referral guidelines to ensure the right people get to see an ECLO, and receive that vital practical and emotional support. Another issue that will affect ECLOs is the launch of the updated Certificate of Visual Impairment form (CVI) in England. ECLOs play a key role in ensuring that all people who are eligible to be certified and registered are given the opportunity to do so. ECLOs will need to work with stakeholders from across the sector to ensure everyone understands the process and any changes made to the updated paperwork. Finally, it is always important for ECLOs to maintain their continuing professional development by keeping up to date with new services, ways of working, treatments and providing peer support within the profession. This is difficult when it means taking time out of clinic, but is so important when providing a quality service.